Posted on Февраль 3, 2016 by Татьяна Н. If you measure your feet, you will probably notice that one foot is larger than the other. Well, one foot does not do any more work than the other, so why should this be? As you know, our body is assimetrical, that is, it consists of two identical halves, right and left. If you look at your face in the mirror, you will notice that the right half of your face is more developed than the left. The right cheek is more prominent and the eye and ear are better shaped. The same is with our body. The legs and arms are not equal in strength. Our feet are different on each side of the body.The heart is on the left and the liver is on the right. The result is that our skeleton develops in a slightly unbalanced way. This slight difference can have a great effect on how we do things. This uneven body structure can make us walk unevenly. This means that when we cannot see, as in a snowstorm, a fog, or when blindfold, we walk in a circle. The same is true of animals whose body structure is also uneven. Источник: 30 Stories for Curious Readers (intermediate). Texts for reading and discussing. Н.Г. Киткова из серии» One Page Story». Текст частично переработан и немного сокращен. Does our body consist of two identical halves? What is the difference between the right half and the left half? 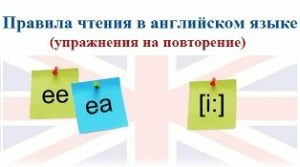 How does these slight differences influence on (влияют на) how we do things? Задание. Перескажите текст, используя в них все 10 слов из списка. Рубрика «Тексты на английском языке (intermediate)» по разным грамматическим темам в процессе разработки. Буду признательна за помощь материалами! This entry was posted in Appearance, Имя прилагательное, Тексты на английском языке для начинающих и продолжающих and tagged Appearance.